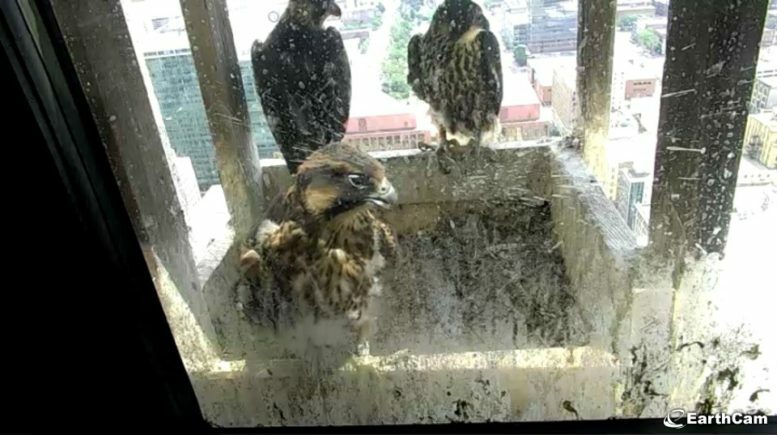 Unfortunately, the mortality rate of peregrine falcons in their first year is 59-70 percent, and we’ve already experienced this in the short lifetime of this year’s clutch. AdorABEL (band number B/88) was found lifeless on the 5th floor landing of the WoodmenLife Tower today. In happier news, ABEL (P/87) was found alive at 16th & Farnam, and he was delivered back to the roof of the tower. 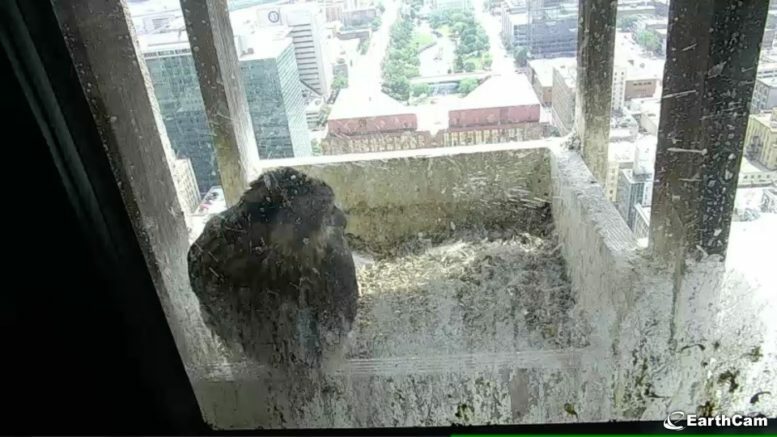 The other two falcon chicks were spotted on the ledge yesterday and are presumed to be fine as they start to fly away. The photo of the three chicks above was taken on Sunday of this week.